First developed and most widely used technology for generation of monclonal antibodies = the use of mouse hybridomas. It is generated from stable fusion of immortalised myeloma cells with B cells from immunnized mice. aminopterin blocks nucleotide synthesis. Therefore cells forced to use the purine salvage pathway to synthesise purine nucleotide which require HGPRT , as B cells have this gene , so only B cells that have fused will be able to survive. The ubiquitous use and broad success of monoclonal antibody in research , is sharp contrast to 3% success rate in drug development. These limitations of mouse AB have largely been overcome by their chimerization or humaization. Chimerization involves joining the variable( antigen binding region) domains of mouse monoclonal antibody to the constant domains of human antibody. This process requires the appreciation of structure and function of immunoglobulin domains. Rituximab is an example of a chimeric mAb that is used clinically to treat non-Hodgkins lymphoma . Unfortunately, even the murine variable region can still be recognised as foreign—leading in many cases to the same limitations as murine mAbs. The simplest of many humanization strategies involves transfer of complementarity determining regions (CDR) from mouse AB to human IgG. For generation of high affinity binding , generally requires additional transfer of one or more framework-region residues from parent mouse AB. Transgenic mice – human AB generated by target antigen immunization of mice transgenic for human immunoglobulin (Ig) genes and disrupted Ig heavy chain and Igκ light-chain loci. Subsequent progress in research enabled the inclusion the expression of more V gene segments by transgenic mice, thereby expanding the potential repertoire of recovered AB. B cells that express human AB are isolated from immunized mice. binding affinity of human AB from transgenic mice = often high, reflecting in vivo affinity maturation= integral to secondary immune response. initial output of transgenic mice is human IgG, allowing early screening of biological function. hybridoma cell lines generated from the transgenic mice= produce AB easily for screening through pre-clinical development. recombinant cell lines such as CHO (chinese hamster ovary) or NSO mouse myeloma cell = produce higher AB titres ( than hyridoma) –> chosen for later stage of clinical development if not all. Phage-display libraries– phage encoding single chain V domain AB fragment (scfv) first described 1990. Diverse human Ig heavy chain V (Vh) gene segments and light chain V gene segment were prepared. How? using amplification PCR from peripheral blood lymphocytes of non immunized donors. then used to identify scFv that bind target antigens. 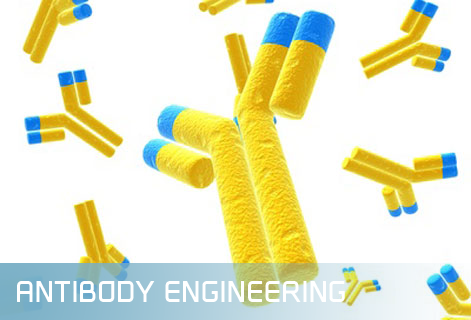 One human antibody isolated by phage-display technology has been approved widely for therapeutic use: adalimumab ( TNF- specific monoclonal AB) used for treatment of rheumatoid and psoriatic arthritis. One of the biggest advantage of AB use is the high success rate from first use in humans. In general AB are well tolerated by humans although infusion reactions( fever, chills e.g patients treated with rituximab CD20 specific monoclonal AB) particularly for first dose are common but manageable. And key strength of AB as therapeutics is their clinical potential can be readily be increased by improving their existing properties. AB drugs are expensive which limits its use to serious medical conditions. Many factors contribute to high cost a) large expense of drug development in general, b) high cost of manufacturing and c) large total doses that are often required. although AB therapeutics often safe and well tolerated, rare but serious adverse events have been reported. One need is to improve the efficacy of AB therapeutics e.g anticancer therapy, for which AB are seldom( if ever) curative. Therefore in oncology, one of the goals of increasing efficacy of AB is to improve, antitumour activity and improve patient survival. How? by increasing frequency of partial responses or more preferably , complete responses and by extending the duration of responses. Increasing the potency of AB or extending its half-life in plasma might allow dose or frequency of administration to be reduced, which might have associated benefits e.g improved quality of life and/or convenience for patient and or reduced cost of drug.